This year, 2019 USPRE Week kicks off with the theme “Wanna Dance,” and rightfully so. 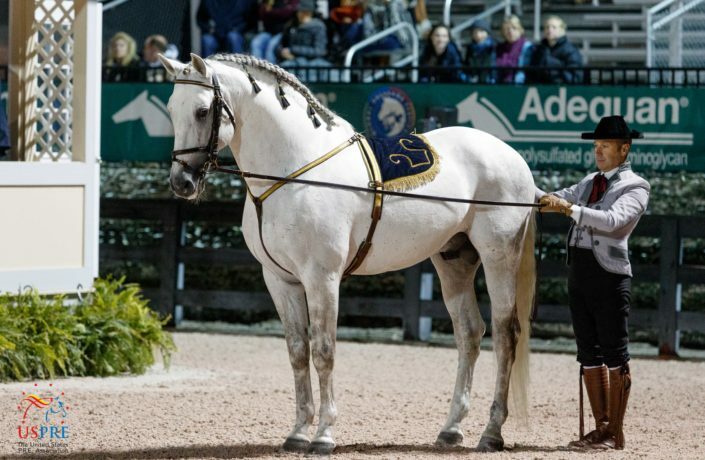 The viral video of a Spanish rider doing a one tempi change while sitting backwards on Batidor X was none other than Javier Ruiz Garrido, who will demonstrate long reins under the saddle at USPRE Week 2019. A long reins demonstration is executed with the highest of skills, a series of exercises where the horse lets his rider guide him from the ground and executes several movements of the High School (Alta Escuela), on top of canter and half passes from side to side of the arena. We are honored to have Javier perform at USPRE Week for the first time on Wednesday, January 23rd during the USPRE Party, and again two days later during the break of the Freestyles on Friday, January 25. Javier Ruiz Garrido is from Andalucia, Spain, where he grew up surrounded by horses. 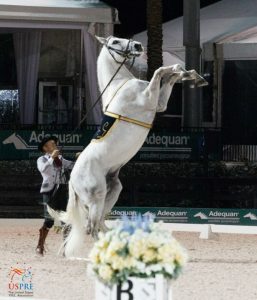 He spent his childhood riding in the city of the Spanish equestrian art, Jerez de la Frontera. When Javier was sixteen, he joined the Real Escuela Andaluza del Arte Ecuestre. His five-year stay at Real Escuela was the cornerstone of his riding career, where he not only gained knowledge of the field but also established himself as a professional rider to be reckoned with. At the conclusion of his formal education, he became part of the rider’s cast of Don Alvaro Domecq in Los Alburejos, where he stayed for seventeen years preparing new horses and riders for the show. While working at Don Alvaro Domecq, Javier stayed competitive and rode his own horses in Dressage and Alta Escuela competition rings. His achievements include a Gold Medal in the Championship of Andalucia in 2006, 2007, and 2008. He also won the Gold Medal at the Championship of Spain in both 2007 and 2008. 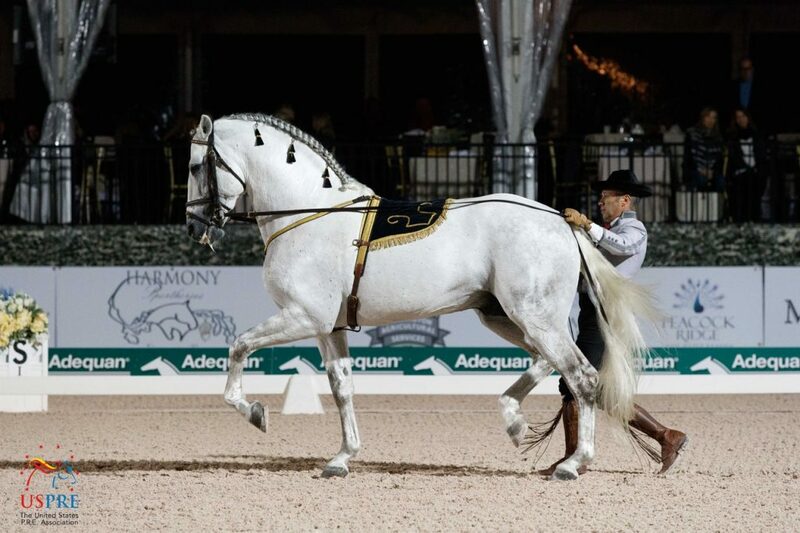 Since 2009, Javier has continued training horses, working on the formation of riders in the artistic part of the show at the Spanish Equestrian School in Budapest. There he focuses on classical dressage and Alta Escuela movements, created with Spanish horses acquired from Don Alvaro Domecq. He also enjoys dedicating his time to his own barn and training his own horses as well as the horses of his clients.